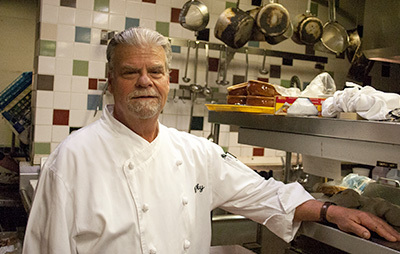 Charles “Chuck”, “Rocky”, Rachwitz worked for the C. A. Muer Restaurant Corporation for 18 years guiding their culinary departments as Corporate Executive Chef and mentor for many future culinarians in the Detroit area. Rocky created, built and established some of today’s most successful restaurants for his personal mentor and best friend Chuck Muer until his tragic disappearance at sea in 1993. Prior to this, Muer returned the favor by helping Rocky turn the former Northville Charley’s into Rocky’s of Northville and helping one of his protegees get a solid start on his own.